The Mapua School Junior Disco! On Thursday the 29th of June we had the Mapua School Junior Disco in the hall. Most of the boys in our class went. 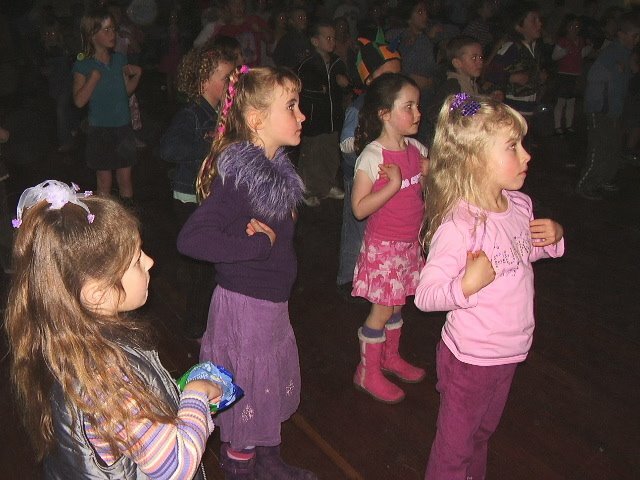 Lots of us were wearing our cool jeans and we put gel in our hair! There were lots of great songs being played. 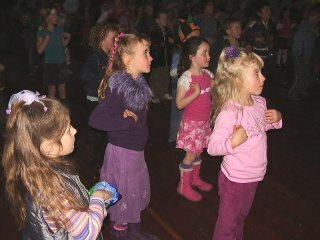 Our favourites were “I’m a believer”, “We will rock you”, “Hey baby” and the Macarena. 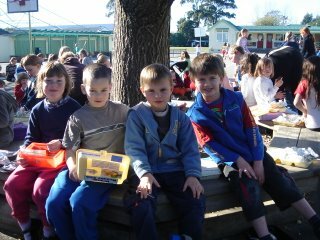 We bought our pocket money and spent it at the canteen. 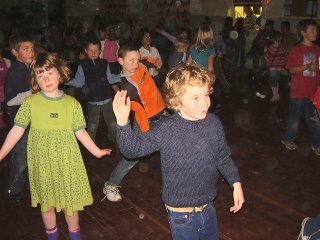 We had fun dancing, eating and talking to our friends. We had an awesome and exciting time. We can’t wait until the next disco! 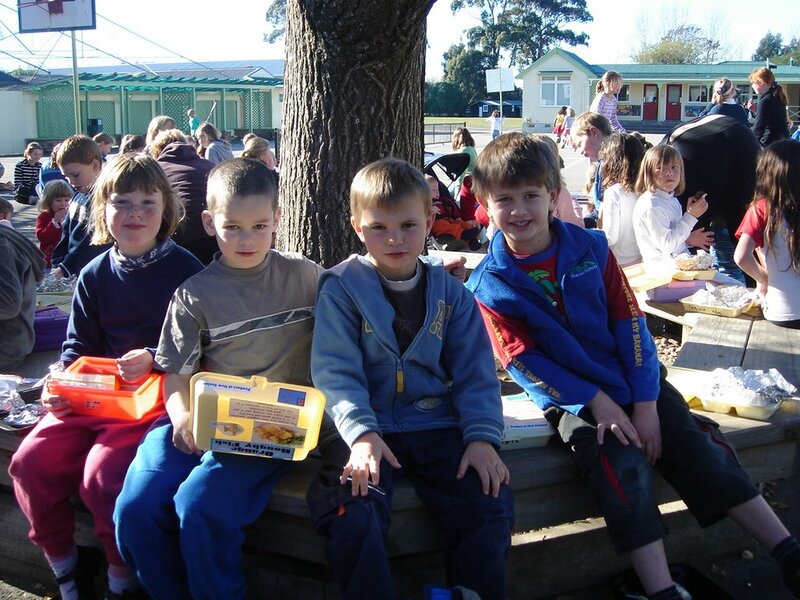 On Tuesday we celebrated our FISH TO DISH topic with a Junior Syndicate Fish and Chips Day! 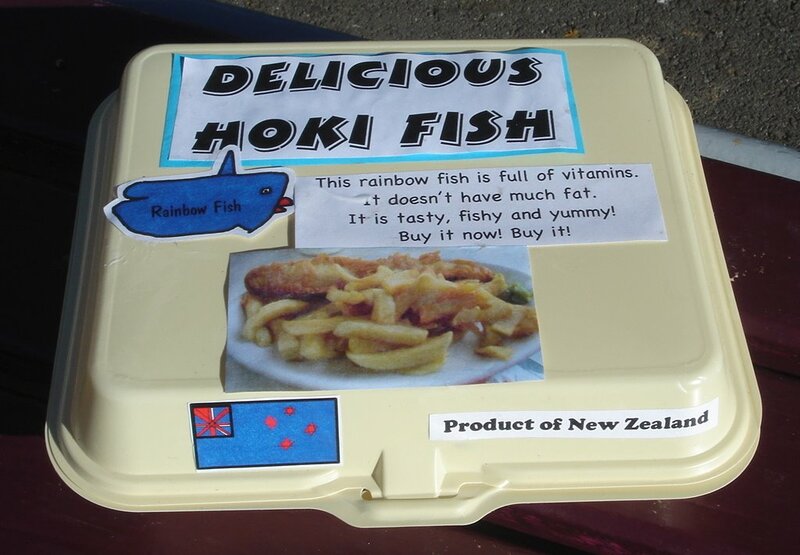 The fish was delicious Hoki that was given to us for free, it was EXPORT quality and was YUMMY! We ordered fish and chips and we ate it out of our VERY OWN takeaway fish boxes that we made! They are very flash and they include a logo that we made on the computer using Kidpix, a company name made using Microsoft Word, a description of the product and a photo of the delicious fish! Hi there Parents/Caregivers and welcome to Room One's Blog! We hope you enjoy reading about what we have been up to. Please feel free to share this web address to your family members, especially those overseas, I am sure they would love to keep up with what we busy Room One children have been up to! You also may post comments on this site for the children to read, they would be really excited to know that they were "world famous" on the web! 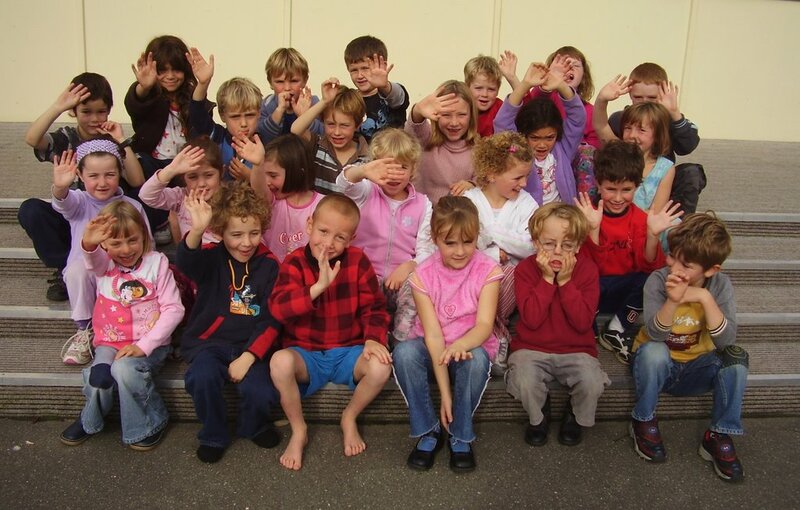 Keep checking back for more posts by the kids as I introduce them to the world phenomenon of "blogging" in Term Three.